Acupuncture is an essential part of traditional Chinese medicine, a comprehensive system of health care that is used by over one-quarter of the world’s population. Traditional Chinese medical theory explains that pain and disease arise when the natural flow of energy within our body becomes imbalanced or blocked. Acupuncture restores the flow of energy to its natural state, thus returning the body to health. Other modalities which may be used in treatment are massage, herbal medicine, nutritional counseling, exercise therapy, cupping, and heat therapy. By getting at the root of the problem, people often find long term health gain, rather than temporary symptom relief. Because each person is unique, we will tailor treatments to address your specific need. Treatment length will depend on the nature of your health complaint. Acute problems that are treated early tend to resolve more quickly than persistent or chronic disorders. With patience, chronic conditions can be improved and often resolved. We will discuss a course of treatment with you after a comprehensive intake interview and examination has been completed. Initial appointment (intake) will last approximately 1.5 to 2 hours. Follow up appointments generally are 1 hour. With acupuncture, you can expect very fine sterile needles, about as thick as a human hair, to be gently inserted at specific points on the body. We may remove these immediately, or leave them in place for 15 to 45 minutes while you rest. People often describe their treatments as very relaxing and notice an increase in health and energy in the hours and days following their acupuncture. Respiratory problems: sinusitis, bronchitis, and asthma. Gynecological problems: painful or irregular menstruation and premenstrual syndrome. Digestive problems: constipation, indigestion, gastritis, or irritable bowel syndrome. Psycho-emotional issues: stress, depression, anxiety, trauma, and addictions. Musculoskeletal: frozen shoulder, tennis elbow, sciatica, and carpal tunnel syndrome. It can also be used to treat well-known conditions such as high blood pressure, diabetes, and emphysema, both alone or in combination with Western medicine. Acupuncture can enhance the immune status and has been used to help people with AIDS fight the diseases that they get as a result of their immune deficiency. Acupuncture is also useful in treating soft tissue injuries, such as cervical strain (“whiplash”) and sports injuries. 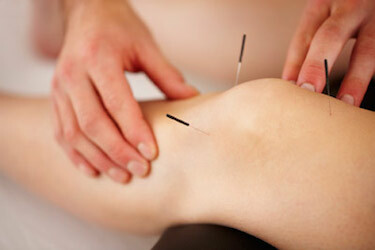 Acupuncture is also helpful for people with so-called “functional” disorders that have no definite Western diagnosis. Some patients feel progressively better after each treatment. In other patients, the illness may have blunted one’s senses so that the full severity of the symptoms is no longer clearly felt. Therefore, as the life force increases sensitivity may develop so that a patient may temporarily feel worse. This “healing crisis” will pass quickly. Other illnesses are of a complicated nature and it is possible that as treatment progresses symptoms that were present many years earlier may return briefly before clearing. Oriental medicine describes this process symbolically as having several conditions, one on top of the other, like sheets of paper. As the top condition is resolved and removed, the conditions beneath are exposed one at a time. When the last sheet is removed the healing is complete. Yes. In fact, there are very few side effects associated with acupuncture, making it ideal for people of all ages and health care needs. What Should I Do on The Day of a Treatment?